Intro: A 750ml bottle with a best before end 2019 date. Poured into a d’Achouffe tulip glass. Appearance: A lightly hazy amber-orange colour with a two finger light tan-orangey coloured head that had good retention and left nice lacing. Aroma: Sweet Belgian yeast, breadiness, lots of fruit, plum, orange, apple with hints of clove and banana, lightly peppery, hay, grass and some spices. Taste: Musty, apple juice, grass, orange, orange peel bitterness, some kind of floral herbal spice mix that’s not easy to describe and some pear and pepper lingering on the finish. Overall: This was interesting but perhaps that floral herbal spice mix threw me off a bit. I also felt the carbonation was too low. In the end I think I prefer their regular Saison a lot more. 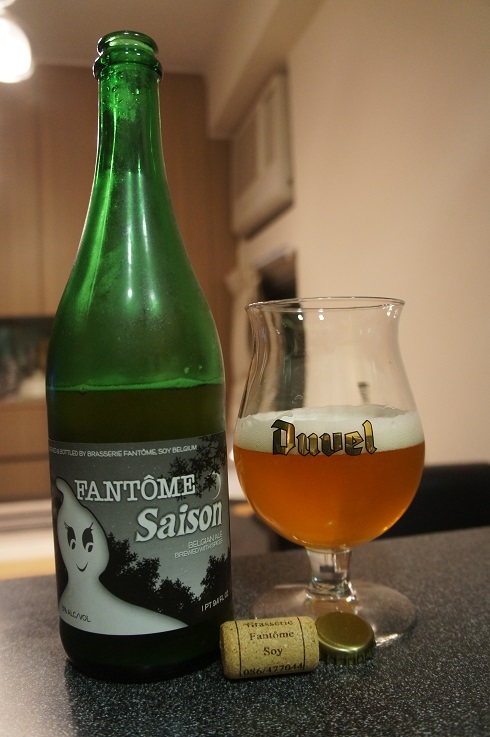 Brewer Description: (from bottle) Fantôme is a classic artisanal farmhouse brewery in the heart of the Ardennes Forest. 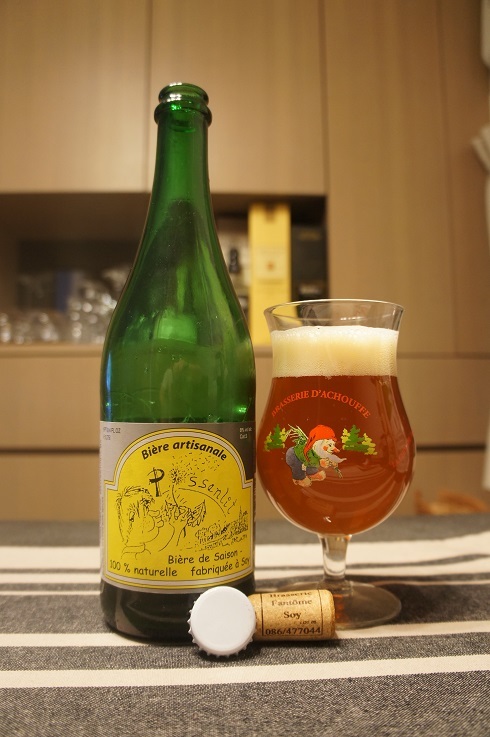 Its brews are in the robust, flavorful ‘saison’ style, and recall the early days of Belgian brewing. 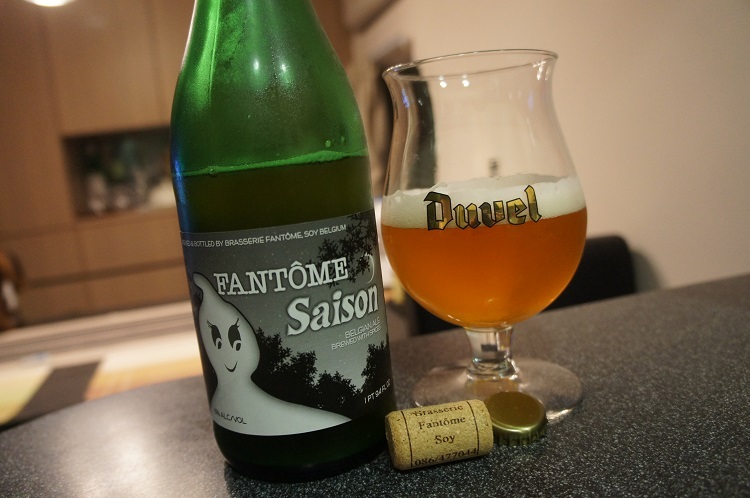 Brewer Dany Prignon is known for his regular Fantôme Saison and for the creative and adventurous brews he makes to mark each of the four seasons. 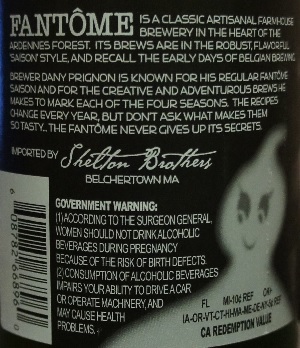 The recipes change every year, but don’t ask what makes them so tasty… the Fantôme never gives up its secrets. 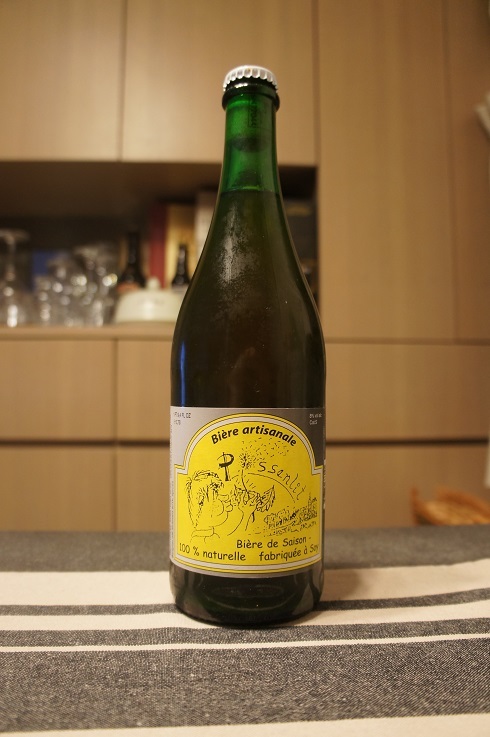 Intro: A 750ml US label bottle with no best before date (Belgian label bottle has a best before end date). Poured into a Duvel tulip glass. Appearance: It poured a lightly hazy golden colour with a slightly less than two finger white head that dissipated fairly quickly but left nice streaky lacing. Aroma: Barnyard funk, honeydew melon, banana, clove, honey, lemon and grass. Taste: Similar to the aroma, there is musty farmhouse funk, sweet honey, banana, clove, fleshy melon with a hint of citrus lemon, grass and a bready finish. 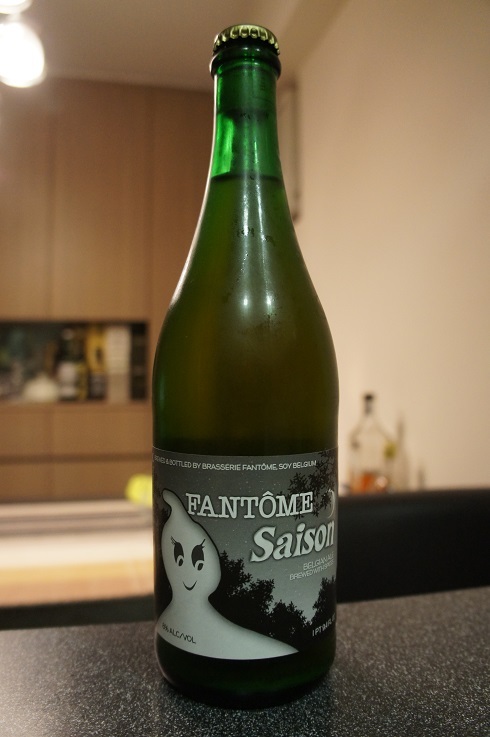 Overall: Wow, a very nice Saison. Great aromas and mouthfeel with nice fruit and funkiness.